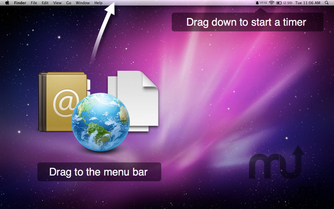 Drag files to your menu bar to create schedule reminders. Is there a better alternative to Alarms? Is Alarms really the best app in Personal Info Managers category? Will Alarms work good on macOS 10.13.4? Alarms is a very handy utility that lets you schedule reminders by just dragging any file or url to the OS X Menu bar. Optionally it lets you sync with iCal and display Address Book birthdays. App store price $7.99, Web store price $15.00.